Yoga with animals has been sweeping the nation. Its popularity is crazy to some and to others brings such joy. The practice of yoga is powerful by itself and when you add the energy of innocent playful animals it allows you to smile, laugh and really enjoy yourself. 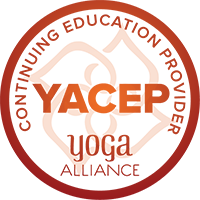 This practice is truly a wonderful experience. 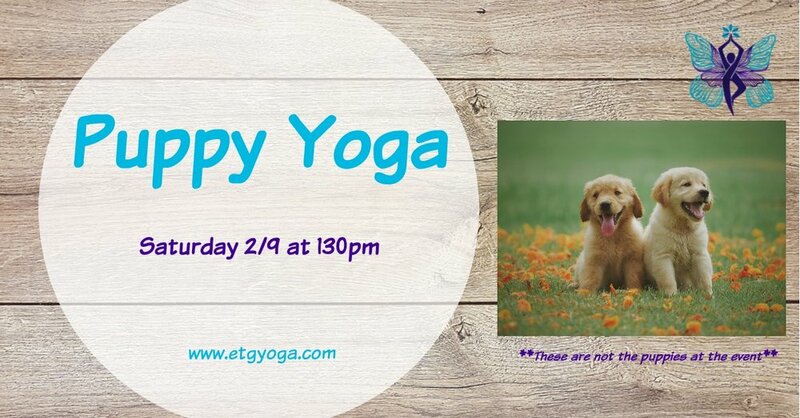 Join us for Puppy Yoga. The Puppies will play with you while Katie leads a simple yoga practice. All Levels are welcome, this is a fun and whimsical practice. We encourage big smiles, laughter and joy! There are 20 spots available. Most of the puppies are available for adoption as well. Cost is $20 for Adults 10 & up and $10 for children 5-10. Email katie@etgyoga.com with any questions.